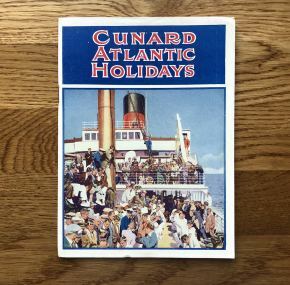 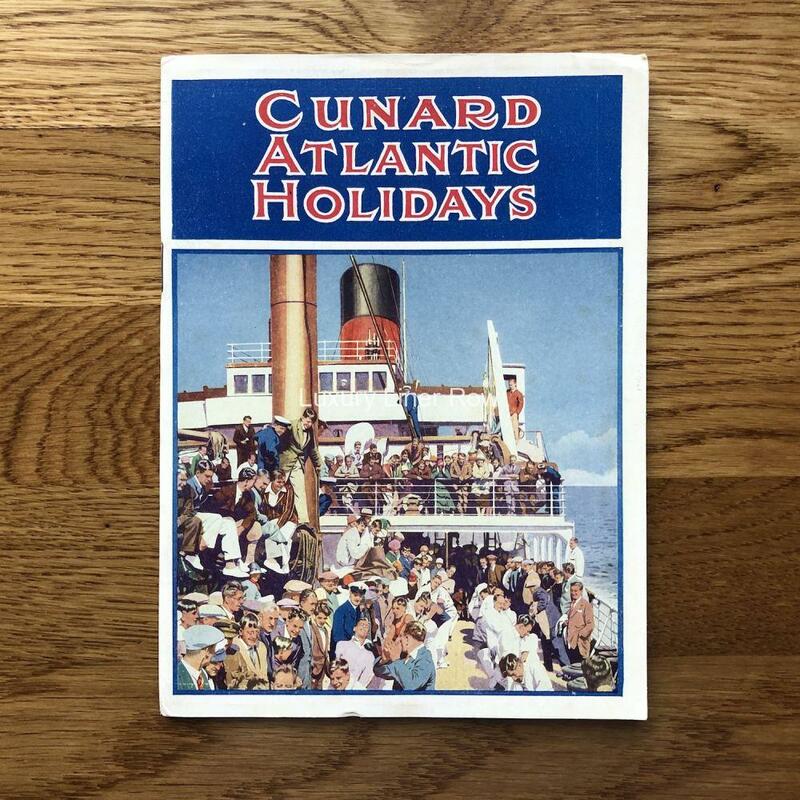 A tour brochure for Cunard’s trips to the USA. 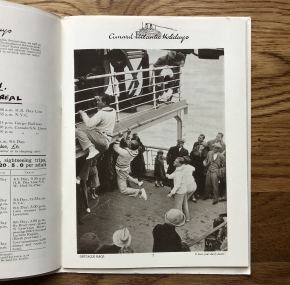 48 pages with lots of great photos of life on board, including activities like the Fancy Dress Ball, the “Snake Race,” “Nail Driving,” etc. 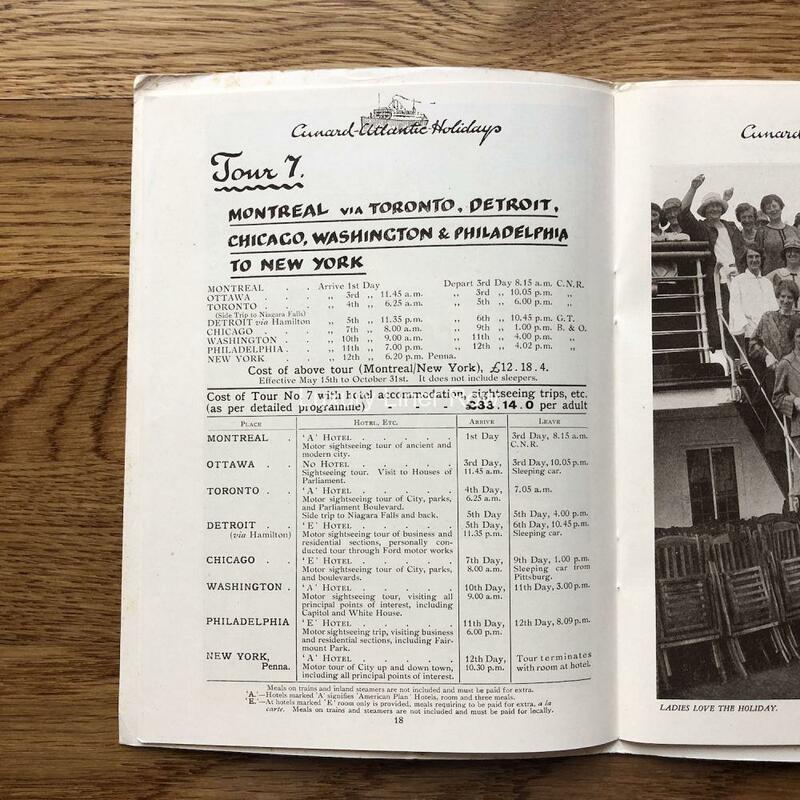 A fascinating look at life during the crossing. 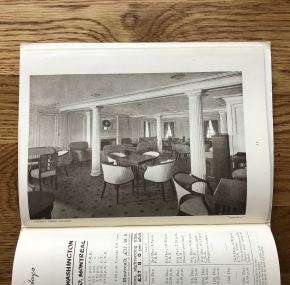 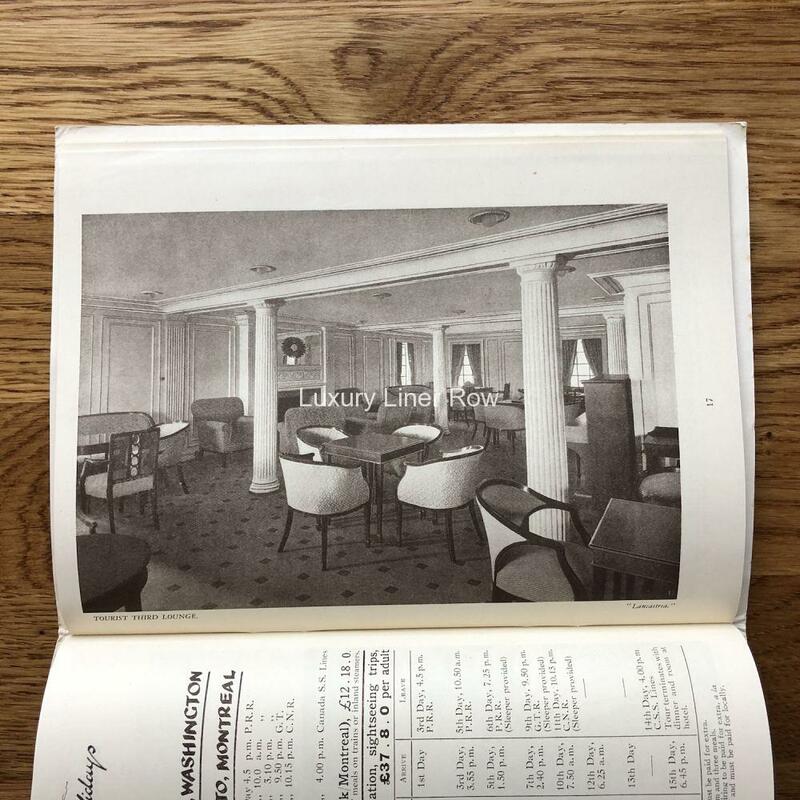 There are also lots of interior photos of the liners. 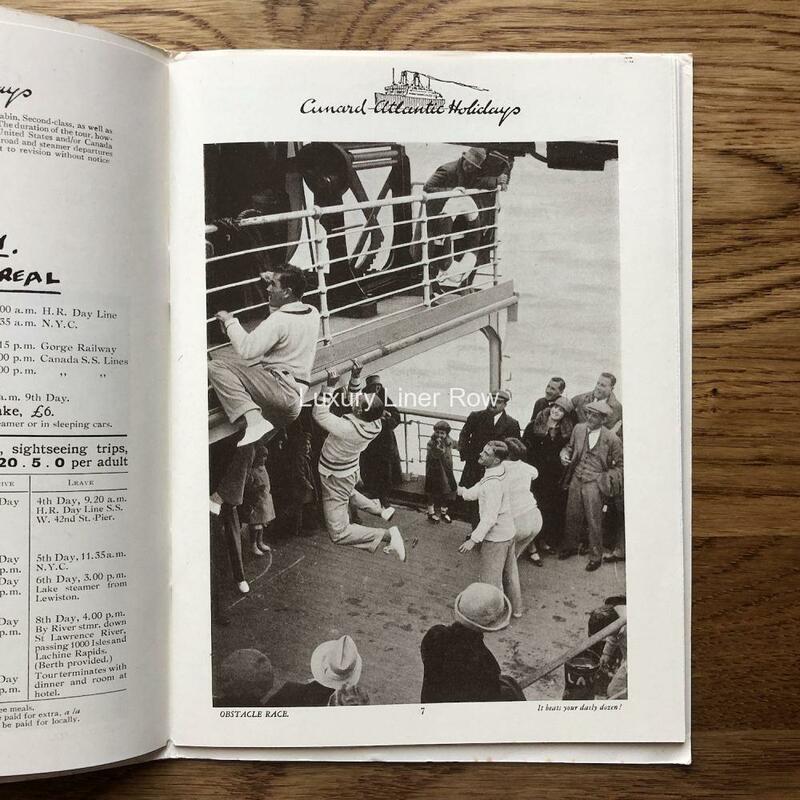 Complete list of sailings and rates.